An inspirational book about life and its lessons from the Golden Globe and Emmy nominated star of NBC's This Is Us.When This Is Us debuted in fall 2016, a divided America embraced a show that celebrates human connection. The critically acclaimed series became America's most watched-and most talked about-network show, even building on its fan base in the drama's second season. As Kate Pearson, Chrissy Metz presents a character that has never been seen on television, yet viewers see themselves in her, no matter what they look like or where they come from. Considered a role model just for being her authentic self, Chrissy found herself on magazine covers and talk shows, walking red carpets, and as the subject of endless conversations on social media "I don't know what you've been through to play her," she is often told by fans, "but it was something. 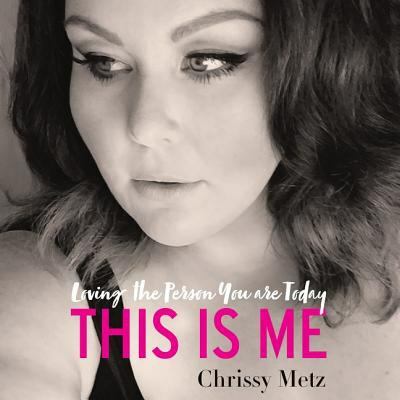 "In This Is Me, Chrissy Metz shares her story with a raw honesty that will leave listeners both surprised but also inspired. Infused with the same authenticity she brings to her starring role, Chrissy's This Is Me is so much more than your standard Hollywood memoir or collection of personal essays. She embraces the spirit of Shonda Rhimes' Year of Yes, and shares how she has applied the lessons she learned from both setbacks and successes. A born entertainer, Chrissy finds light in even her darkest moments, and leaves the listener feeling they are spending time with a friend who gets it.Chrissy Metz grew up in a large family, one that always seemed to be moving, and growing. Her father disappeared one day, leaving her mother to work a series of menial jobs and his children to learn to live with the threat of hunger and the electricity being cut off. When her mother remarried, Chrissy hoped for "normal" but instead experienced a form of mental pain that seemed crafted just for her. The boys who showed her attention did so with strings attached as well, and Chrissy accepted it, because for her, love always came with conditions.When she set out for Los Angeles, it was the first time she had been away from her family and from Florida. And for years, she got barely an audition. So how does a woman with the deck stacked against her radiate such love, beauty and joy? This too is at the heart of This Is Me. With chapters that alternate from autobiographical to instructional, Chrissy offers practical applications of her hard-won insights in a series of "Bee Mindful" interstitials. There she invites you to embrace gratitude in "Say Thank You" or to be honest with your partner and yourself in "The Shrouded Supreme." Blending love and experience, Chrissy encourages us all to claim our rightful place in a world that may be trying to knock us down, find our own unique gifts, and pursue our dreams.